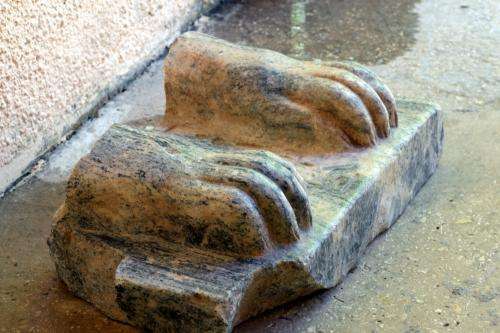 The broken granite sphinx statue—including the paws and some of the mythical creature's forearms—displayed at Tel Hazor archaeological site in Israel's Galilee, is the first such find in the region. 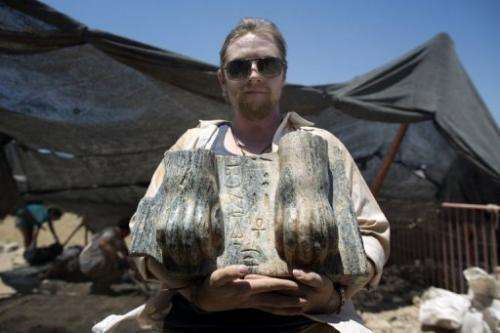 An Australian excavation volunteer on July 9, 2013, displays part of an ancient Egyptian king's unique sphinx with a hieroglyphic inscription dating circa 3rd century BCE, found during excavation at the northern Israeli site of ancient Tel Hazor. The sphinx was unveiled with researchers struggling to understand just how the unexpected find ended up there. Another option is that the statue was part of the plunders of the Canaanites, who in the late 17th and early 16th century BC ruled lower Egypt, the expert said. 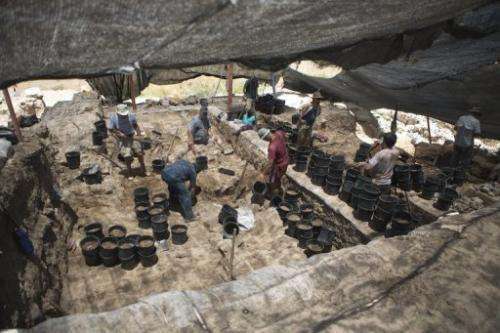 Volunteers from Hebrew University work during an excavation at the northern Israeli archeological site of ancient Tel Hazor, on July 9 2013. 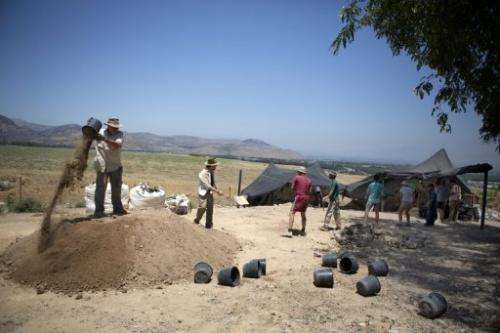 Volunteers of the Hebrew University work during an excavation at the northern Israeli archeological site of the ancient Tel Hazor on July 9 2013.